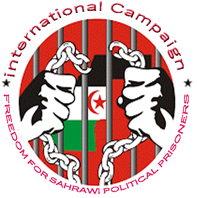 Brussels, February 2, 2018 (SPS) - Polisario Front National Secretariat member and Minister Delegate to Europe Mohamed Sidati said the "vicious campaign" conducted by the European Commission to gain approval for the free trade agreement with the Moroccan occupier, illegally including occupied Western Sahara, was nothing more than a "support for a crime of plunder and a hold-up in the fullest sense of the word," against an African Union member state. In a statement to Sahrawi media on Thursday, Sidati said the European Commission's latest decision "is an act of aggression against a member State of the African Union (AU) and plunder of Western Sahara people's resources." The Sahrawi official stressed the great contradiction within the European Union, whose member countries attended the EU-AU ministerial meeting last week, in Brussels, alongside the Sahrawi Republic.